38 buyers have shortlisted this project. Apartments starting from Rs.32.4 Lacs. S.K. Imperial Height is a 21 storied Under Construction Project and the location is Nr. 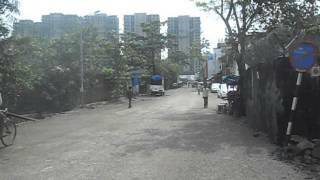 Dahisar Check Naka, Behind Mantra Resturant, Mira Road and is developed by S.K Height Pvt. Ltd. S.K. Imperial Height was launched in Oct 2014 and the possession of the same is likely to be in Dec 2018. S.K. Imperial Height has 3 wings in total named as A, B, C wings. The possession for A and B wing is December 2019. The possession of c wing is in June 2019. The Project offers 1, 2 , 3 BHK Residences. All basic amenities like Clubhouse, Grand entrance lobby, Swimming, Gym etc are available in S.K. Imperial Height S.K. Imperial Height is RERA approved has the Registration Number bearing P51700008172. S.K. Imperial Height is tagged as RERA Approved / Investors Delight / Self Use / RERA Approved. S.K Height Pvt. Ltd. also has other under construction and ready possession and sold out projects like S.K. Imperial Height. The property prices in Mira Road are in the range of 7000 to 8000 for Outright for ready and under construction projects. S.K Height Pvt. Ltd. currently has 1 Under Construction projects. S.K. Imperial Height has good reviews and the ratings of this project are approximately 3 out of 5. You can download the brochure of S.K. Imperial Height and you can see the latest digital pictures, Floor Plans, Location Plans & Rate History on our website. The Bookings for the Under Construction project S.K. Imperial Height are open and we can set up a Site Visit any time at your Convenience. S.K. Imperial Height is approved by most of the Banks and for more details on the approved bank list, please connect with us. There are 3 Wings. The site is well equipped with modern day amenities and facilitates all major needs of its residents. 341 sq.ft. Carpet - Base Price ₹ 32.4 Lacs. 387 sq.ft. Carpet - Base Price ₹ 36.76 Lacs. 488 sq.ft. Carpet - Base Price ₹ 46.36 Lacs. 541 sq.ft. Carpet - Base Price ₹ 51.4 Lacs. S.K. Imperial Height details were updated in Sep 2018. Ongoing & Past Projects of S.K Height Pvt. Ltd.
S.K. Imperial Height - S.K Height Pvt. Ltd. Approved by the following Banks in Mumbai, Thane and Navi Mumbai. Click on the link below to download a Printable S.K. Imperial Height Project Brochure.